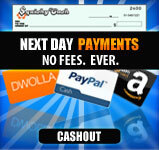 Hesitant about doing trial offers on SquishyCash? 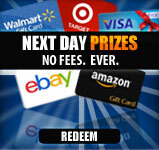 We've created a great way for you to toss aside those reservations! Introducing Trial Offer Protection exclusively from SquishyCash. Trial offers almost always credit on SquishyCash but occasionally because of things out of our control (browser settings, pixels not firing, etc), they don't. With Trial Offer Protection you can be assured that even if a trial offer doesn't credit, we will still take care of you! Trial Offer Protection only works for trial offers. Screen shot of the purchase/thank you page. For example, you complete a trial and are charged $6.99 shipping and handling. You do not receive credit for this trial on SquishyCash. After a full 7 days, you submit the proper documentation and we'll then add $6.99 to your account balance. Only the initial cost of the trial is covered under the Trial Offer Protection. You must wait a full 7 days before the Trial Offer Protection goes into effect and then submit your documentation. All requests will be handled personally by a member of the SquishyCash staff. If any irregularities or missing information are discovered, your request may be denied. Although we only require certain documentation in order for you to be protected, the more information we have the better, so if you'd like to supply us with further information, please do. If the initial cost of the trial is more than the payout for the offer, you will not be reimbursed for the initial cost, but rather for the payout of the offer. Only after a thorough investigation will we process your request and add the required amount of money to your account. Please allow up to 30 days.